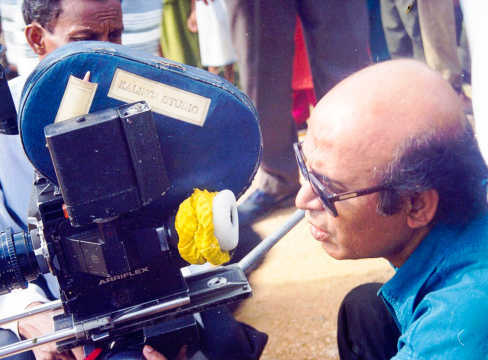 The works of Buddhadeb Dasgupta, self-taught filmmaker who has won so many awards that they do not excite him any more, open up several windows for the viewer. 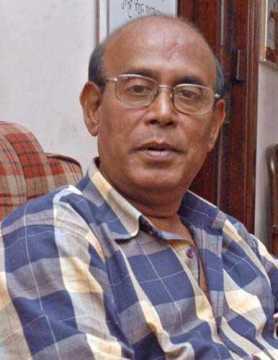 Today marks the 75th birthday of poet-author-filmmaker Buddhadeb Dasgupta, one of India's outstanding contemporary filmmakers whose work has crossed continents. Dasgupta, who has created a genre distinctly his own, blending the rhythm and imagery of poetry with those of cinema, is now experimenting with both form and content. Today, he finds himself in a dilemma whether to mirror the impact of dramatic social change on the individual, reflect the change itself, or use the language, technique and aesthetics of cinema as a medium of self-expression, an expression that encompasses that change within himself. 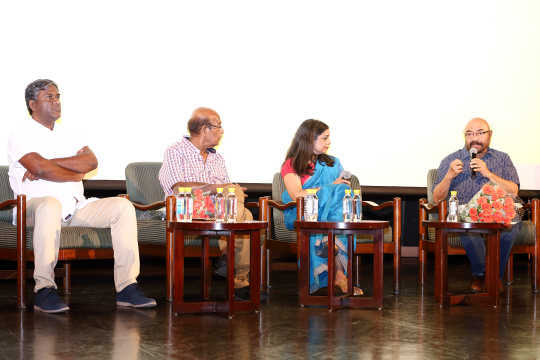 Through his films, both documentaries and features, spanning almost 50 creative years, Buddhadeb Dasgupta has been trying to blend all these, adding to them a process of self-enquiry and self-discovery. Dasgupta’s father Taranath was a railway doctor who travelled frequently from one village to another. The family moved with him, too. Dasgupta was brought up in an enlightened, liberal, middle-class environment. His father’s emotional moorings lay in the politics of Mahatma Gandhi and, in the post-Independence period, in Marxism. 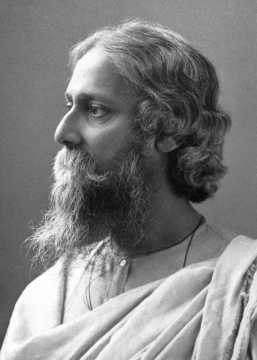 His mother used to sing Brahmo hymns and Tagore songs with the piano as support, and read out to her children from the Puranas, the Upanishads and the Bhagwad Gita. This helped them develop a deep sensibility for music and a feel for tradition. Dasgupta has consistently tried to define and re-define the significance of the auteur in cinema. From Dooratwa (1978) to his last released film Tope (2017) or The Bait, the stamp of his individuality is marked cinematographically as well as through his choice of literary source. One easily notices the consistent undercurrent of the increased alienation on the individual in his films. His cinema is a cinema of journeys as much as it is a cinema of the loneliness of man. Interestingly, Dasgupta never honed his filmmaking skills or learnt about the art at any film school. “I learnt about my craft from watching films, reading about them, and listening to people talk about them,” he said. In 1978, he made his first full-length feature, Dooratwa, or Distance. 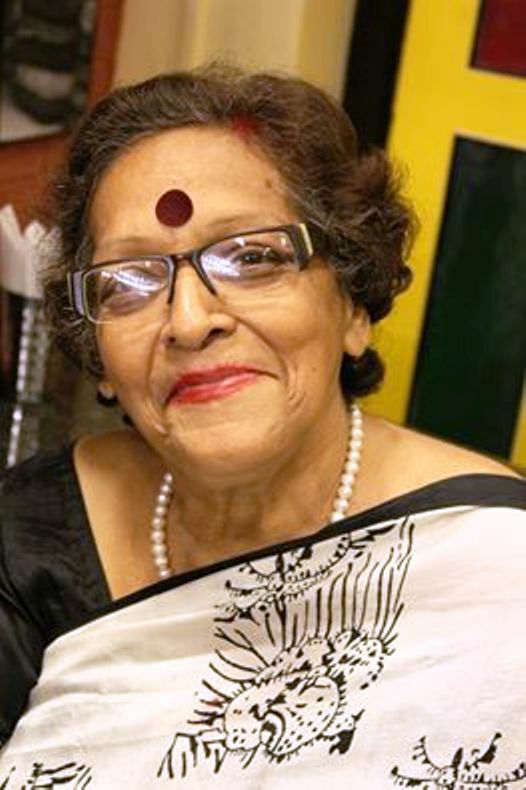 Based on a short story by the noted Bengali littérateur Sirsendu Mukhopadhyay, the film was completed in just 16 shooting days on an incredibly low budget, exposing just 20,000 feet of film in total. “I never allow my sensibilities to follow the kind of rationality that is accepted and understood all over. I would rather push it beyond the borders of rationality, where poetic rationality makes creative endeavour more significant,” he said when asked once whether poetry still serves as inspiration, since he is a poet himself. Dasgupta's cinema is also about journeys and of loneliness. "Images of my childhood are linked to my adult life and to my cinema," he said. "The family was always on the move. The houses where we lived were so thickly crowded that I never had the chance of being alone with myself. My association with literature, music and painting pushed me into the realm of loneliness. This was painful at times but has also been creative in many ways. "Sometimes, wandering from one room to another was more than taking a journey, while flying from one country to another was not. The most important thing is to be able to relate to these — journeys and loneliness — and to try and discover how you respond to them. I can neither write nor make films without these two essential elements of my life. At times, they appear allegorical, but they are real, believe me." Few outside West Bengal are aware that Buddhadeb is a talented poet too. His inspiration comes from the simplest of ideas such as the cat whom his mother fed, his mother playing the piano and singing songs, a donkey, a brand of a slippery gooey fish called the magur in Bengali, and even a man trying to make conversation with his wife through a long-distance call from an STD booth. Among his published works are Govir Araley, Coffin Kimba Suitcase, Himjog, Chhaata Kahini, Roboter Gaan, Sreshtha Kabita, and Bhomboler Ascharya Kahini O Ananya Kabita. Some of his collections have been translated into other languages, such as The Story of an Umbrella and Other Poems translated by Lila Roy and Other Forms of Death: The Poems of Buddhadeb Dasgupta. Novels penned by him are Nikhiler Benchey Thaka, America America, Rahasyamay and Yasiner Ascharya Kahini. There is a compilation of essays called Swapna, Samay O Cinema. 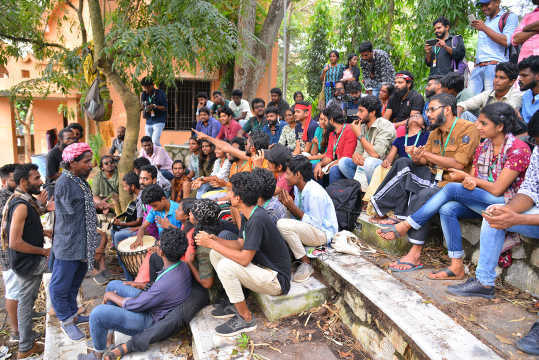 “After my films on the tragic decay in folk performance forms, I set out on a journey of dreams," he told this writer. "All of us have a cherished dream for which we live. We begin the journey of life to fulfil this dream. But while some of us succeed, some don’t. My films revolve around this quest for the realization of dreams. "Tahader Katha (1992) portrays the crisis of a human being trapped between the world of his dreams and the world of reality," he continued. "I think the world is meaningful because such dreamers exist. "Mondo Meyer Upakhyan (2003) is no different. Swapner Din (2008) follows the same track. We are born out of dreams and dreams are born out of us. The film weaves itself around the dreams of three different persons and their journeys in search of their dreams which intersect at a point. Janala (2009) is the journey of Bimal, a solitary man against the wrath of circumstances when he decides to pursue his little impulsive dream. An accidental visit to his school in Jhumurpur village prompts Bimal to believe it is his turn to give back to his alma mater and he begins with trying to reconstruct the broken window of his favourite corner classroom. He decides to take the help of the local moneylender for the task. When the moneylender fails to pay the promised sum, Bimal discreetly uses the money his fiancée Meera had been saving for their soon-to-be-born child. By the time he reaches his school with the window, however, the authorities reject it. Now begins another journey for Bimal. He discovers that the precious window has no takers. In the end, Bimal has lost his job, his fiancée and his unborn child — everything for a window nobody wants! How many windows are there for Bimal to build in Janala which means ‘window’? Is it just the one that brings back sweet memories from a lost boyhood in a classroom he spent four long years in? Or are there more windows — metaphorical, emotional, and real — that open out into several worlds he was never aware of? The narrative opens up other ‘windows’ that consolidate Dasgupta’s personal take on the decay in social, ethical and humane values. He is a filmmaker who counts among the handful of directors who have won the National and many other awards and they do not excite him any more now. Do we live in a voyeuristic world stripped of privacy even in our very intimate moments? Has the world of sophisticated surveillance strategies divided ordinary people into two groups — the ones spying, the perpetrators, and the ones spied upon, the victims? In Ami Yasin Ar Amar Madhubala (2007), Buddhadeb Dasgupta harps on the atomization of the individual, where the individual, enslaved to and by technology, is reduced to an atom that renders him incapable of natural communication with fellow humans in everyday life till, in the end, he discovers that he is both perpetrator and victim of the technology that was once his source of livelihood. Ami Yasin Ar Amar Madhubala is a powerful but scary indictment of the world of sophisticated technology we live in and offers an insight into how it can trap us in a no-exit situation.